I read this statement while I was browsing through some photos online. 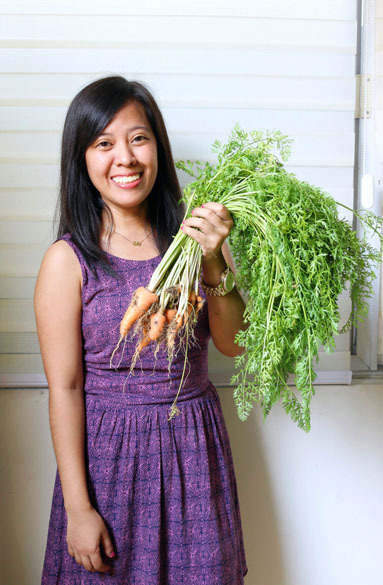 It reminded me so much of my experience with planting and harvesting carrots at home. It was my first time to plant a type of vegetable that grows underneath the soil, which made harvesting more faith-stretching for me. As usual, I bought the carrot seeds from “Seeds of Hope” which can be found at any SM Supermarket. They also sell the seeds at Ace hardware or at the gardening stores at the entrance of SM Megamall (building A). 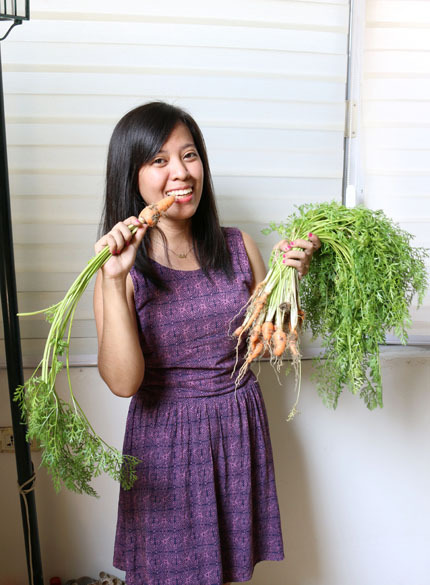 After months of waiting, by God’s grace, I finally had the privilege of harvesting my own carrots at home. Woohoo! Even though they didn’t reach their maximum size, they were still a sweet surprise (literally too). Hopefully, I can grow a second batch early next year. 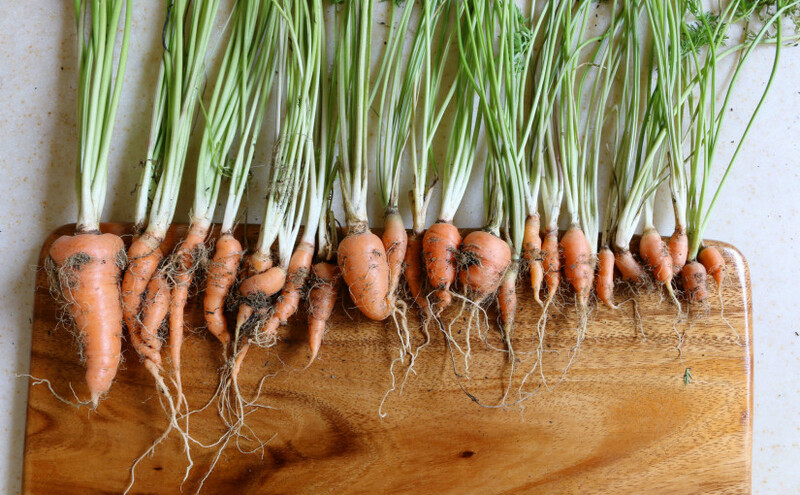 Personally, I think that growing carrots is easier than growing TOMATOES and CORN at home. I can’t wait to grow more soon! As always, gardening at home helps me appreciate the crops and our Creator more. 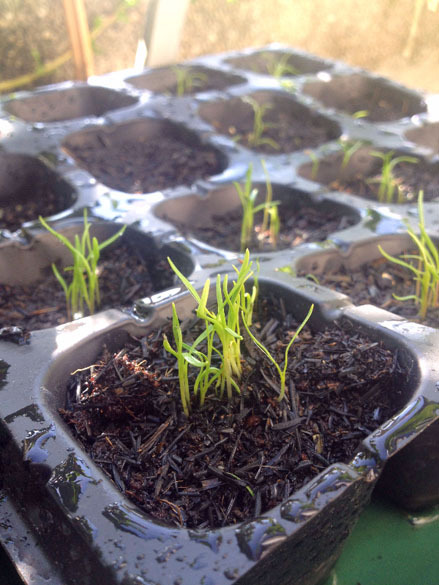 It really is an amazing experience to see fruits and vegetables grow from tiny seeds. Tasting our homegrown crops still is quite mind-blowing. I really am grateful for the experience, which is why I want to encourage you to try it too! 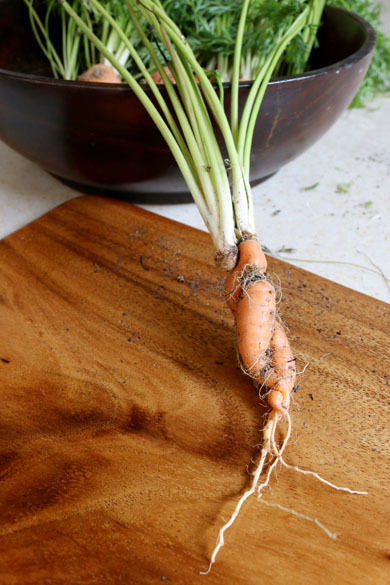 If you’re already growing carrots or other fruits/vegetables, let me know! Leave a comment below and share your gardening experience! 1.Use loose potting soil. 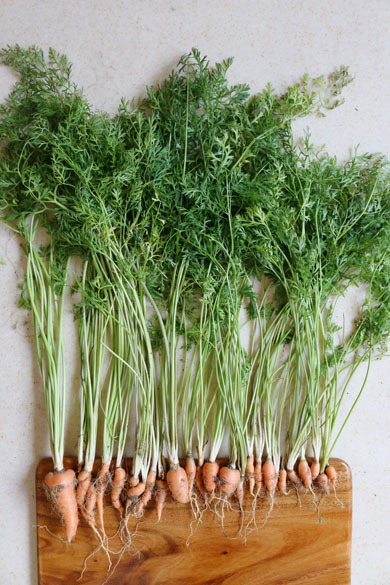 It will help produce straight carrots since they won’t have to struggle growing through thick, hard, and rocky soil. 2. 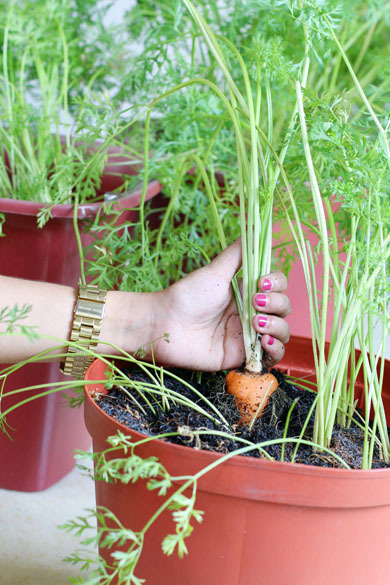 Plant the carrot seeds directly on the permanent container pot/bed. They don’t like growing in small plastic cups or nursery beds. They also don’t like being transplanted. 3. Plant them in rows. 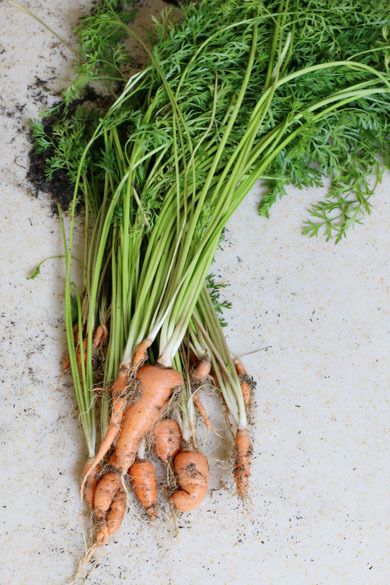 The stems of the carrot plants are very fragile. So, planting several seeds beside each other will help in giving support to the batch of plants. 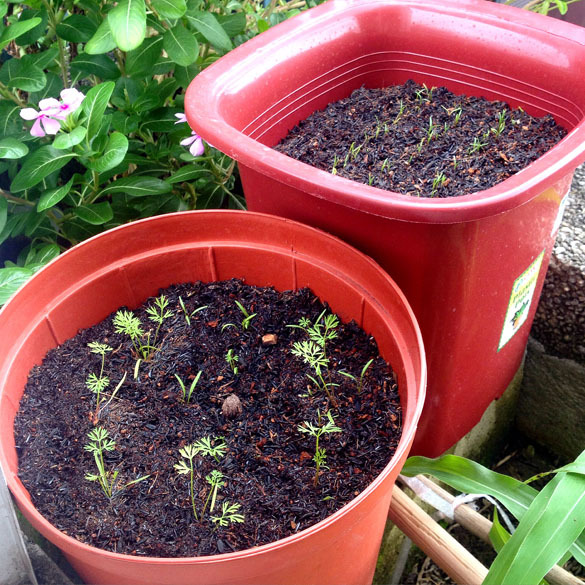 This will also help you differentiate the carrot plants from weeds growing in the same pot/bed. 4. Spray water lightly on the soil until water comes out of the pot’s holes or until the whole soil area is moist. 5. Use fertilizer every two to three weeks. 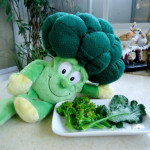 I use Jobe’s organic fertilizer spikes for my vegetables. 7. 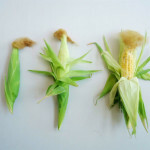 You can help the stems and leaves grow upright by carefully and lightly tying them together. 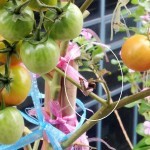 You can use plastic straws (strings). 8. 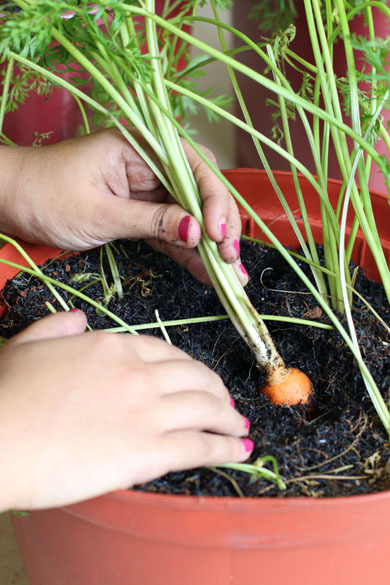 When you see carrot tops peeking out of the soil, cover them with more loose potting soil. 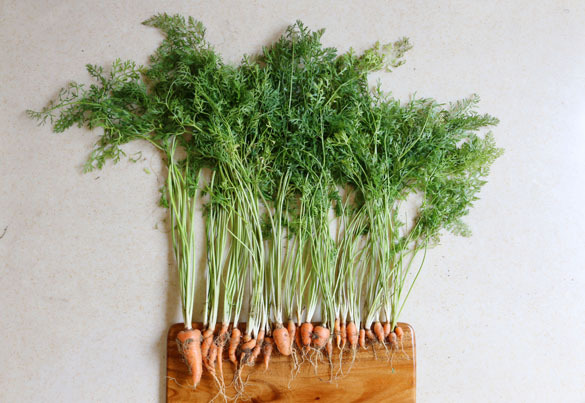 When the carrots are exposed to too much sunlight, their tops may turn to green. 9. 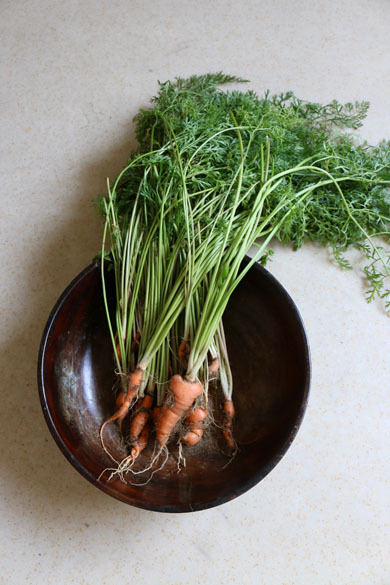 It usually takes three months before the carrots can be harvested. A good indication is when the stems are already 12 inches high. 10. 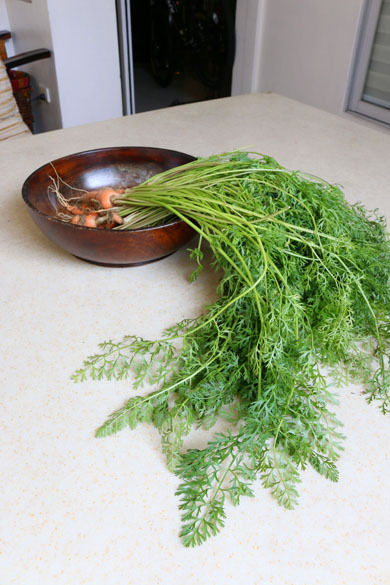 Harvest the carrots when you’re ready to eat or cook them. Crops harvested lose their natural sweetness as the days go by.